Professional marching bands really do exist. 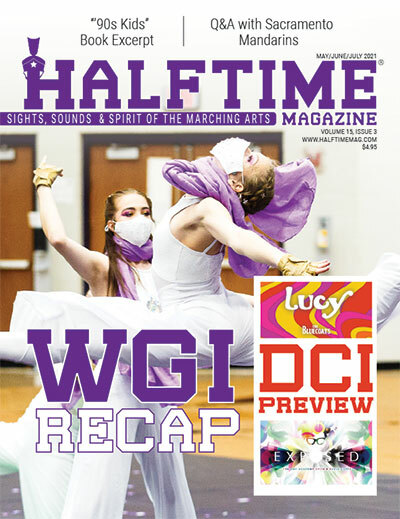 Learn about four well-known groups and how to perform with them. 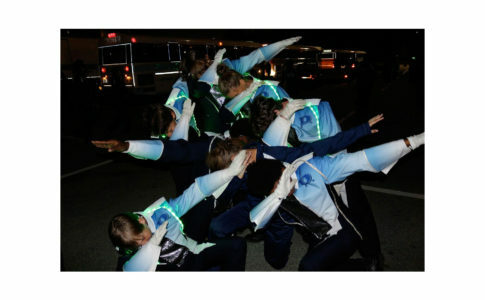 The old saying, “Do what you love, and the money will follow” may seem impossible for those in the marching arts. 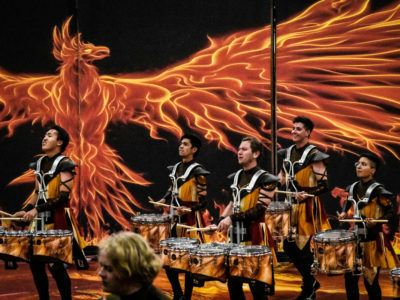 While we’ll always need band directors and instructors to teach the next generation, what if your passion is to play and march every day as a performer? 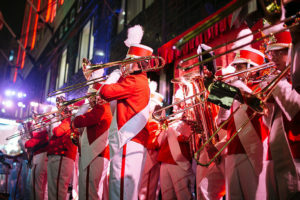 You may already know that the U.S. military employs hundreds of musicians, but outside of that, professional marching bands are more difficult to find—though not impossible. 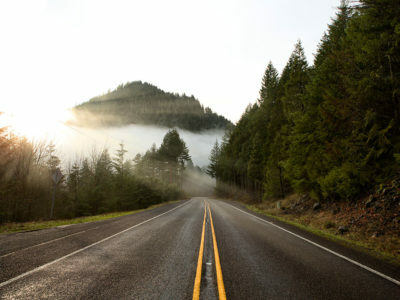 Take heart in knowing that your 8-to-5 stride can get you a 9-to-5 job that is professional, full-time, and paid. Seeing the 12-piece band of smiling, mostly middle-aged men marching out on cadence in Walt Disney World’s Magic Kingdom in Orlando, Florida, one might be tempted to think they look “cute” or “quaint.” That is, until they bust out the opening notes of “Under the Sea” from “The Little Mermaid,” and the trumpets hit a note that practically shatters every window on Main Street U.S.A. That’s when you know you’re in for a truly magical experience. 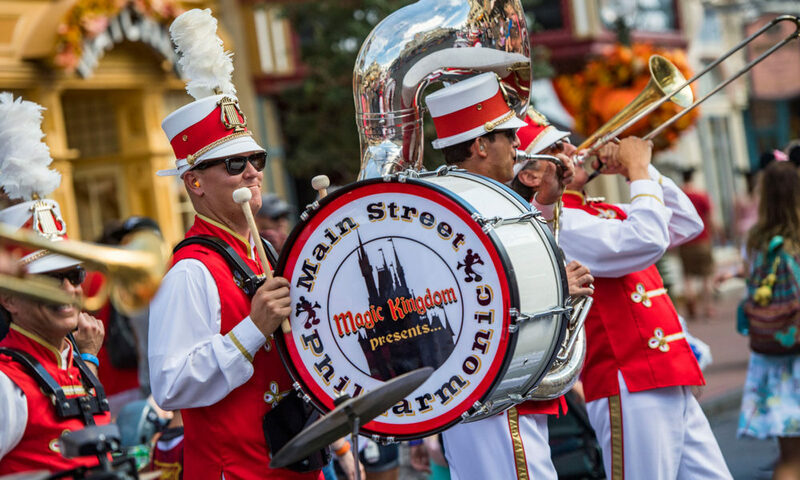 The Main Street Philharmonic performs six times a day, five days a week in different locations around the Magic Kingdom. The brass and percussion ensemble primarily performs Disney music but also incorporates non-Disney jazz, Dixie, Latin, and rock tunes. Their sets don’t include much choreography but instead focus on complicated licks and many featured solos/soli in the arrangements as well as moments of comedic interaction with the audience. All the performers are full-time employees (or “cast members” as Disney calls them) with benefits and a regular schedule that allows them to do other gigs in their spare time. They also have a list of qualified substitutes that can fill in. Many of the subs work in other performing groups on property at the Walt Disney World Resort. 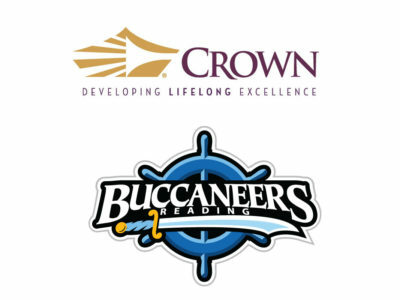 Vacancies are usually filled by someone with experience as a sub. 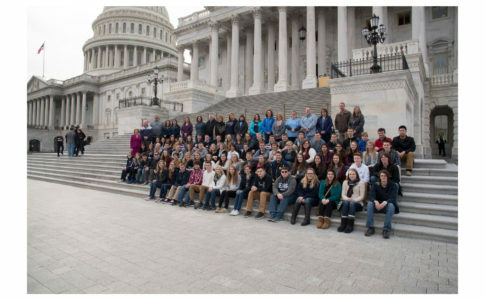 Many of the members are alumni of groups like the Disneyland Resort All-American College Band and Epcot’s Future Corps. 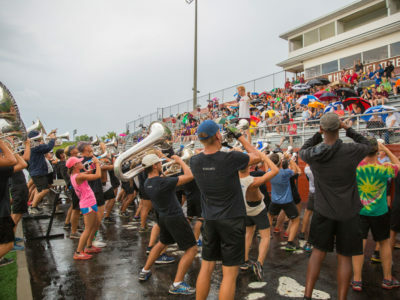 Nearly all of them marched in a high school band, some at colleges such as the Universities of Florida, Tennessee, and Wisconsin, and some in drum corps like The Cadets. Legendary Hawaiian hospitality and the spirit of “Aloha” are alive and well in the Royal Hawaiian Band, which entertains both tourists and locals with Hawaiian music at more than 350 performances, including 20 to 30 parades, per year. The only remaining full-time municipal band in the United States, it is also the only one founded by a monarch, King Kamehameha III, in 1836. 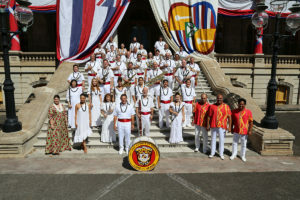 The band functions as a department of the city and county of Honolulu. The mayor appoints the bandmaster, but all other band members and staff are full-time civil servants. 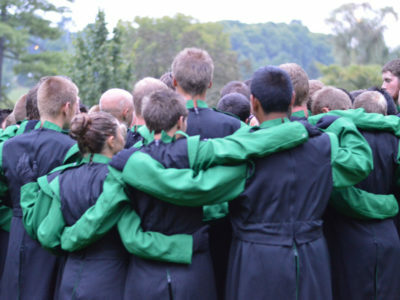 Currently, the band has 35 members (full staffing is 40 members) and includes woodwinds, brass, and percussion. Depending on the performance, the group sometimes includes a steel guitarist, male and female vocalists, and hula dancers. While the Royal Hawaiian Band is a full-time gig, musicians don’t have a 9-to-5 schedule. Many of their concerts are on evenings and weekends when locals are out of work and tourists are out and about to enjoy the music at locations such as Waikiki Beach and Iolani Palace. The varied schedule can include as many as three performances in a single day. While the band started out only admitting Hawaiian musicians, these days any musician with an advanced degree and a willingness to move to Hawaii is welcome to audition. What started as Manhattan School of Music students forming a small group to play for veterans has grown into a massive professional marching organization with more than 1,000 members in nearly 50 cities. The goal of the Patriot Brass is to pay professional musicians to play free concerts at veteran’s care facilities. 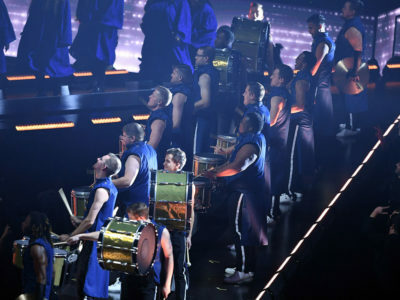 Over time, more clients wanted the group dressed in traditional band uniforms, which the organization began purchasing in small quantities as needed. Now, the Patriot Brass uses its earnings from the professional marching band gigs to fund its mission of performing for veterans. 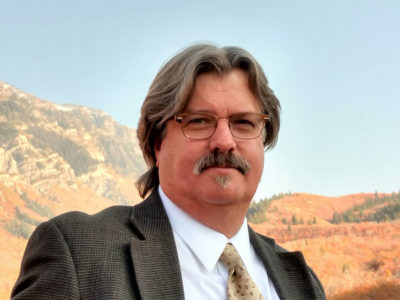 While there aren’t usually enough gigs for the Patriot Brass to be a full-time job for anyone except Behnke, many performers can avoid or reduce the amount of time spent on non-music jobs. 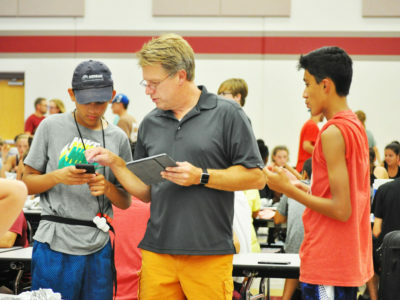 The unique structure of the Patriot Brass allows musicians to participate as little or as often as they like in the group’s 200 events per year. Since all the members are world-class professionals, including performing in Broadway musicals and at Lincoln Center, no rehearsal is needed except for maybe some quick staging. All the gigs go through Behnke in New York, but each city has a group lead for the local logistics. 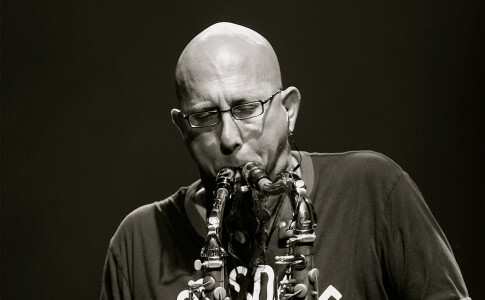 While a typical performance is a six-piece band performing at a veteran’s home, the Patriot Brass has done television shows such as “The Voice” and “The Late Show with Stephen Colbert” as well as marriage proposals, surprise corporate events, and even marching around in underwear at a screening for “The Wolf of Wall Street” film. With a background in The Cadets, Raiders, and Bushwackers Drum and Bugle Corps, Behnke says the corps alumni in Patriot Brass bring invaluable experience, particularly when it comes to uniforms. As part of its 60th Anniversary Diamond Celebration, the Disneyland Resort completely revamped the Disneyland Band to add some extra dazzle to the festivities. Sit-down concerts became a thing of the past, and high-energy, constantly moving medleys welcome guests daily. 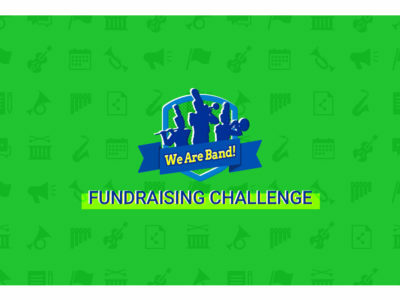 The 18-piece band features saxophones, brass, and percussion in several sets daily. In the “Main Street March Along,” Mickey and friends join the band as they teach a simple dance step and encourage people to march down Main Street U.S.A. together. In most other sets, they perform drill and choreography-heavy moves in one area. Overall, the band’s roster includes 60 musicians for a combined total of 107 parts (as some can double or triple). 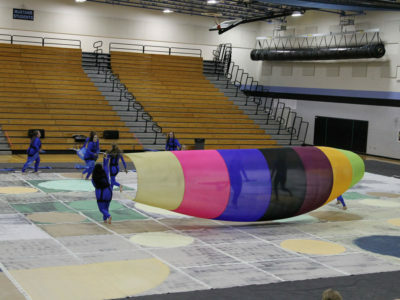 A five-day group and a two-day group ensure that the band performs seven days a week. Love-Simmons marched flute in junior high but in high school chose to go with dance and cheer. After her time as a trained ballerina, she went to work at Disneyland as a dancer and eventually as a choreographer. She worked with the Disneyland Resort All-American College Band and the marching bands in the 2002 Winter Olympics in Salt Lake City before the Disneyland Band. With just a year and a half under its bibbers, the Disneyland Band is still growing and evolving. But with so many members, adding a new chart can be costly as performer safety is the number one priority throughout the rapidly moving drill. According to Shandling, the band will continue to update to reflect the overall goals and initiatives of the Walt Disney Company. 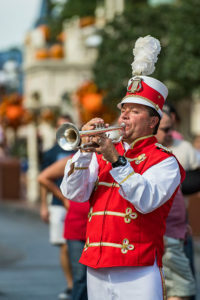 The photos of the Main Street Philharmonic are courtesy of Disney Performing Arts. Photo of the Patriotic Brass courtesy of Tayla Nebesky. Color photo of Royal Hawaiian Band courtesy of the Royal Hawaiian Band. 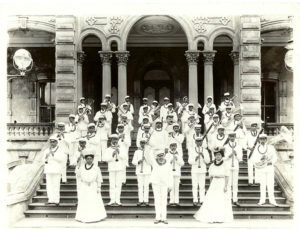 Sepia photo of the Royal Hawaiian Band courtesy of Hawaii State Archives. 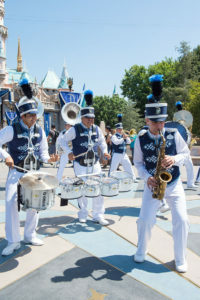 Photo of the Disneyland Band courtesy of ©Disney.